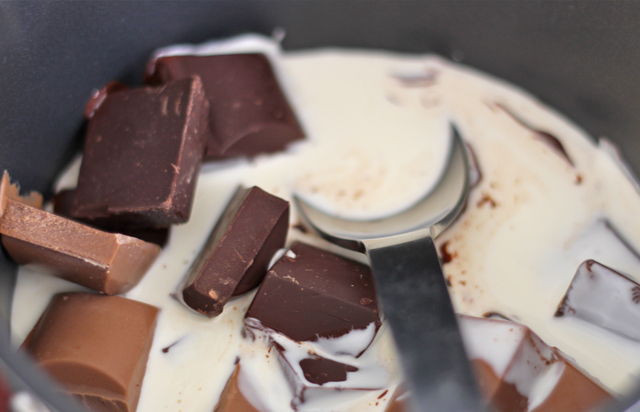 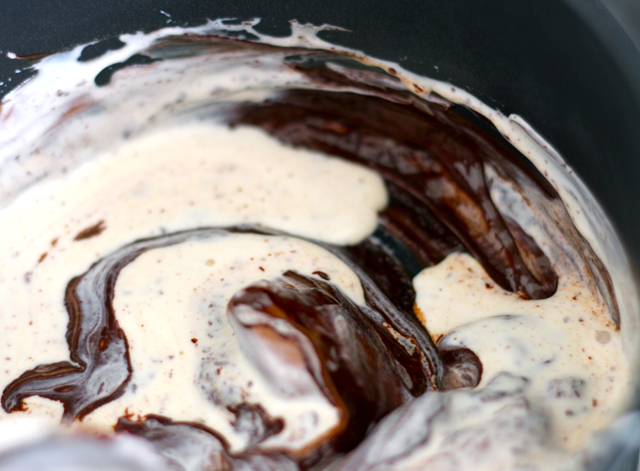 melt cream and chocolate in a pot. 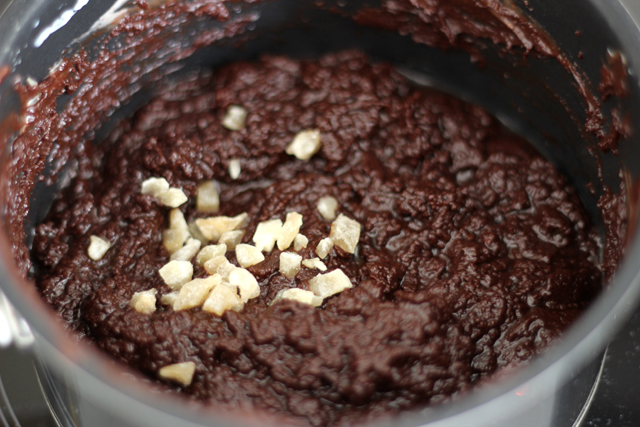 set aside in the fridge to cool for 3h. 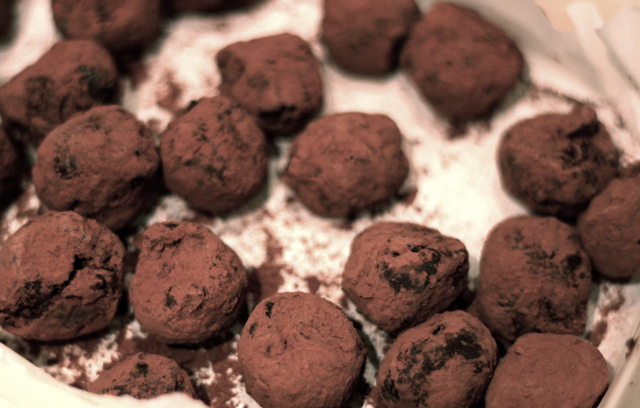 make little truffle balls with your hands, cool them again. 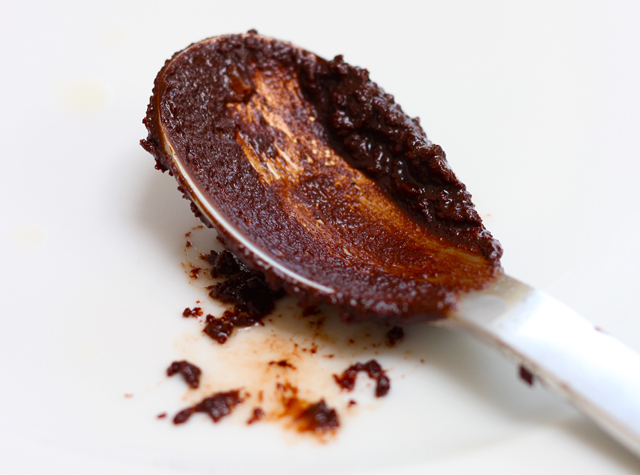 dust with cocoa powder.